MSDEER.net • View topic - Think I put too much rice bran out! Think I put too much rice bran out! Let it snow. I really hate the snow. Re: Think I put too much rice bran out! It’s coming your way lol. So let me ask. What’s is yalls thoughts on seeing deer in the snow down here in the south? triple_duece wrote: So let me ask. What’s is yalls thoughts on seeing deer in the snow down here in the south? Im in North Ms, we rarely get snow during deer season but when we do ive saw several the 2nd or 3rd day of the snow. The 1st day seems like they are laid up. Like chad said, never seen a deer while snowing down here but the days after I’ve usually seen quite a few. I think I know the secret as to where and what they’re doing during the snow but won’t say until I verify it the next time it snows. Okay here’s my story. 4 of us was hunting my place when it started snowing the night before at 10 pm. Woke up at 5 and told the guys we wouldn’t see a deer. It was still snowing and I had about 3” on my hood of my truck. Everyone agreed that we wouldn’t see squat lol. Now everyone hunting is from Louisiana and we’ve hunted all the southern states except for Florida. We’ve all hunted in the snow and w snow on the ground. We’ve never seen a deer, but you just have to go lol. Oh and we had tower stands to hunt in or I’d slept in haha. We get in the stand and I got situated before shooting times and looked up to see what I thought was a deer cross the lane. 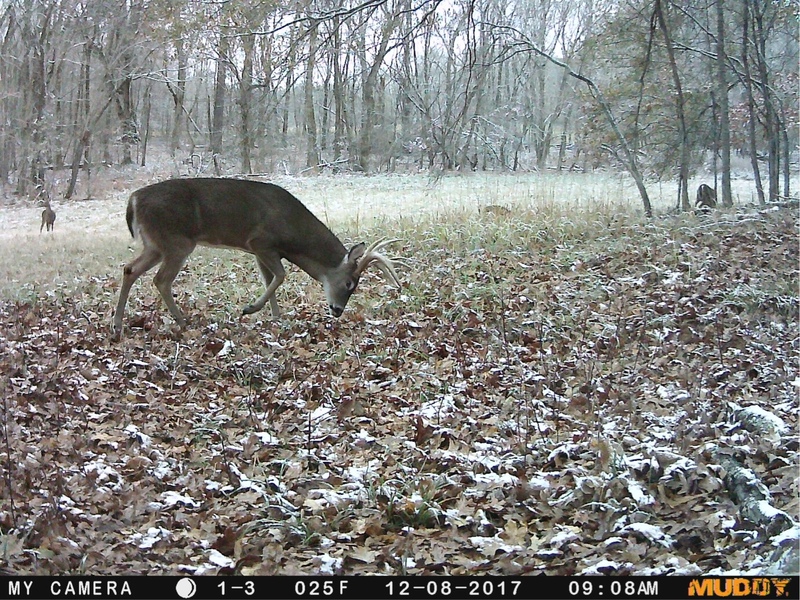 As daylight came, deer started pouring out the crp. Let me take a step back, usually on a good day w four of us hunting, we’d see about 10-12 deer. The most was 27. Now as the day went on, I’m sure we’ve seen 50-60 deer. Deer were coming out where I’ve never seen the enter before. I’m dumbfounded. We did hunt till one pm but this was crazy. Just wanted to get yalls opinion. Today my son hunted this morning and evening only seeing 7 deer combined. Granted we didn’t get much snow in Yazoo County, but one of my cameras got this the morning it was snowing...... You just never know. My son Jeremy , was at my house in Yazoo County, he started not to go. But decided to give it a try. He was calling every thirty minutes, telling me of all the deer that were walking right in front of the new shoot house. He saw deer all weekend. I have never seen them move in the snow.